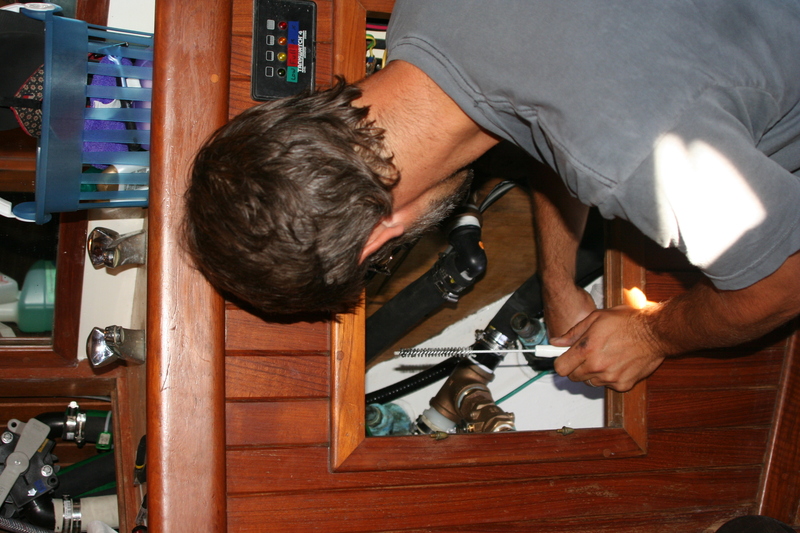 Matt has been working side-by-side with boat experts on various parts of the boat (mechanical, electrical, plumbing, etc.). 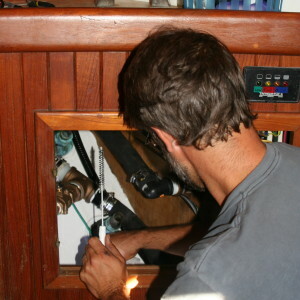 Although the repairs and upgrades are more extensive than anticipated, I think Matt correctly anticipated the total cost of the boat (i.e., sale price + repairs). Although resource-consuming, it’s helping him get up-to-speed much faster on the boat and how it functions. Which is comforting, given that his wife is totally clueless on all of this stuff. This entry was posted in Uncategorized on September 13, 2013 by Diane.